The fourth league game of season pitted us against one of our eternal rivals. After one week of cold and wet weather, the temp was 20°C and there was forecast of Sunny day ahead for the battle of Frankonia. 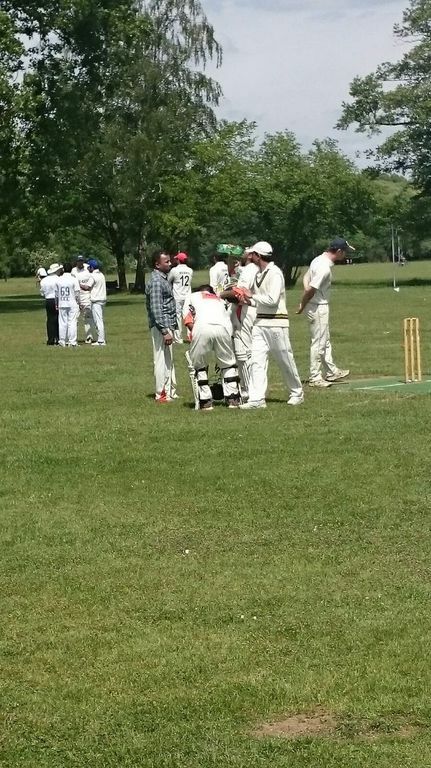 ECC won the toss and as expected put us in to bat, our trusted opening pair of Umer and Ali started the innings. ECC tried to surprise us by starting with slow bowler, Akmal, but to their own surprise he was thrashed for 19 runs by Umer in the very first over. Afterwards Erlangen switched to conventional tactic of using fast bowlers in Power play. 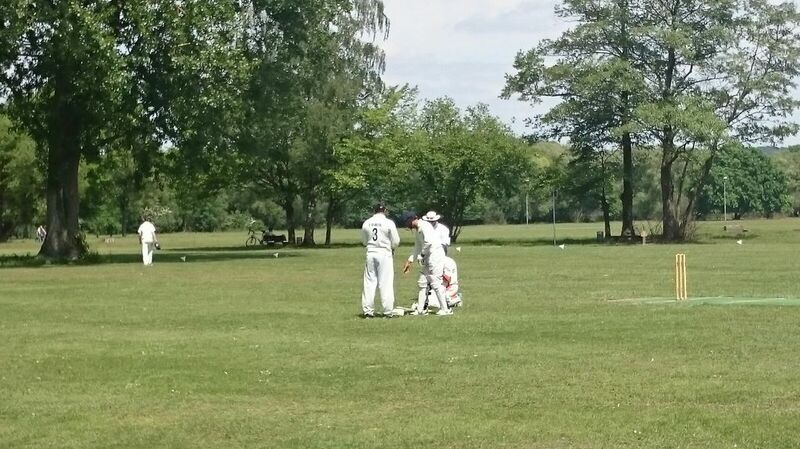 Both the openers played very sensibly and Umer in particular was enjoying the medium friendly paced bowling of Erlangen on a batting paradise. The opening century stand was looking on the cards but Ali got out after 12 overs and with our team score 90. With the platform set we were looking for a very big total but then our customary horrow show from middle order left us 108/4 after 20 overs with Naveed, Arshad and Matthias going in quick succession. After the break Asher and Kashif gave Umer the company but both were not able to support Umer for long enough. Umer was looking good for his first 100 in Bayern Liga. He showed nerves of steel and reached his milestone by hitting six, in process he became first batsman from NCC to score 100 runs. There were some near misses in past 4 years but Umer did this in his 4th League game. Soon after Umer got out when he was trying to accelerate in the end overs. After some late order hitting from Rafiq, Fawad and Mudassar, we ended with total score of 250/8 after 40 Overs. It was a decent score on a good batting pitch however we needed to bowl well to defend this target. 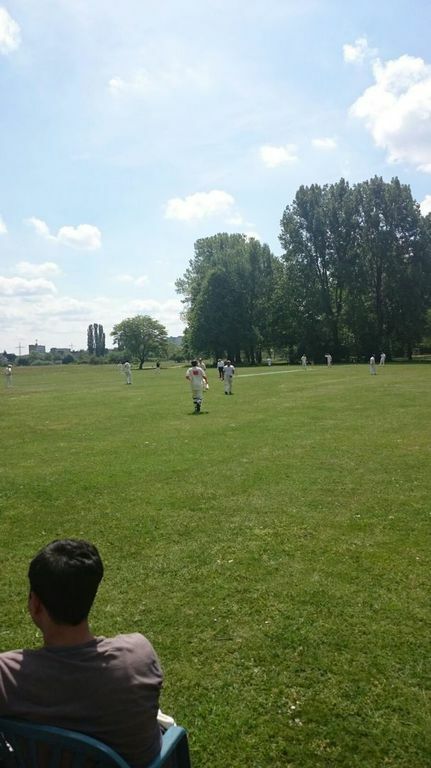 Asher started magnificently and took first wicket in the very first over with Umer taking a sharp catch in the slip. Asher was on mission to destroy the Erlangen batting line up. He was swinging the bowl prodigiously and with high speed. 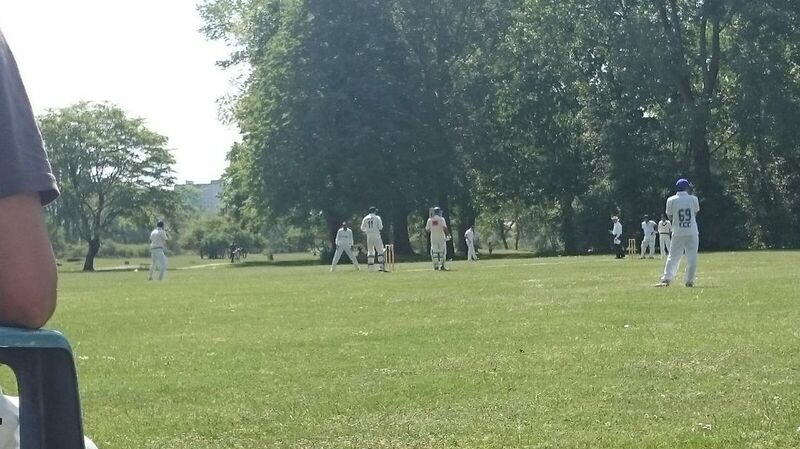 In his first 5 Overs he took one wicket each and Erlangen was 41/5 after 9 Overs. On the other end Adnan and Mudassar were keeping the things tight and there was no respite for Erlangen. The fielding was also exceptional and Umer was looking like Jonty as he took another low catch to get rid of Akmal. Soon it became 61/6 after 13 Overs when Asher got the dangerous Bilal caught by Ali. It appeared the end was near and we would be going back home early but what followed was a passage of play that showed us why the game is not over till last ball. 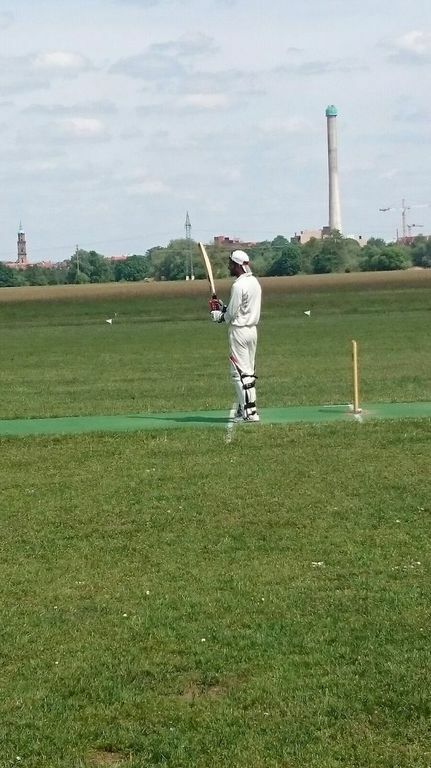 At 20 Over mark Erlangen was 98/6, Subhajit started flexing his muscles and he started hitting as he had no pressure on him. 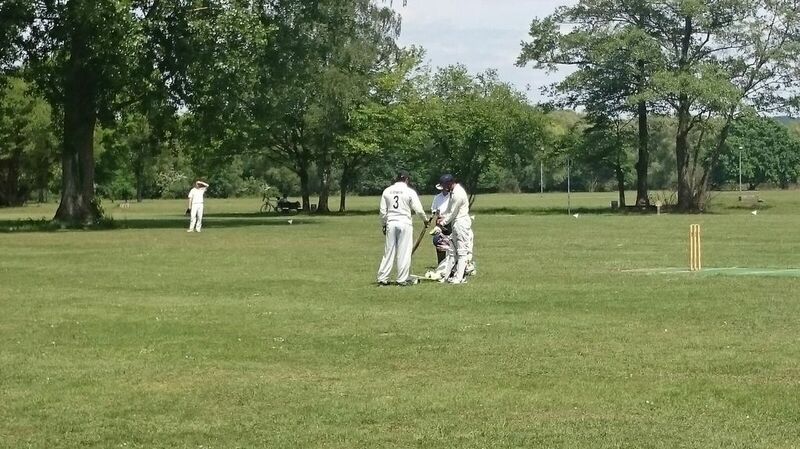 He was adeptly aided by our poor fielding with many catches going begging. In spite of all this we kept on getting their wickets. 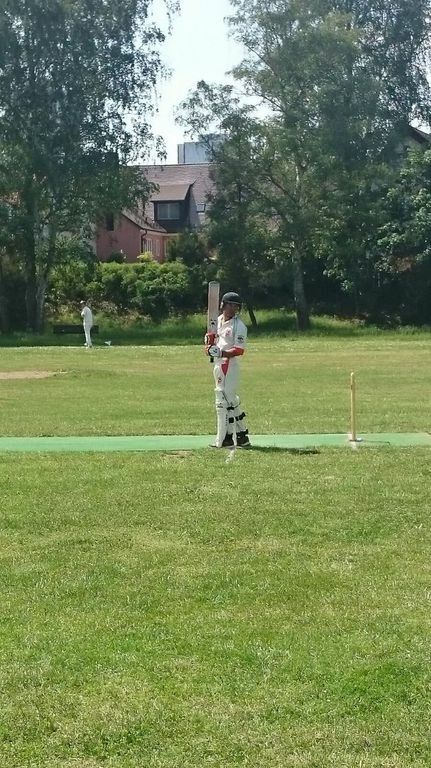 Kashif got us the break through when he had Aniket bowled. 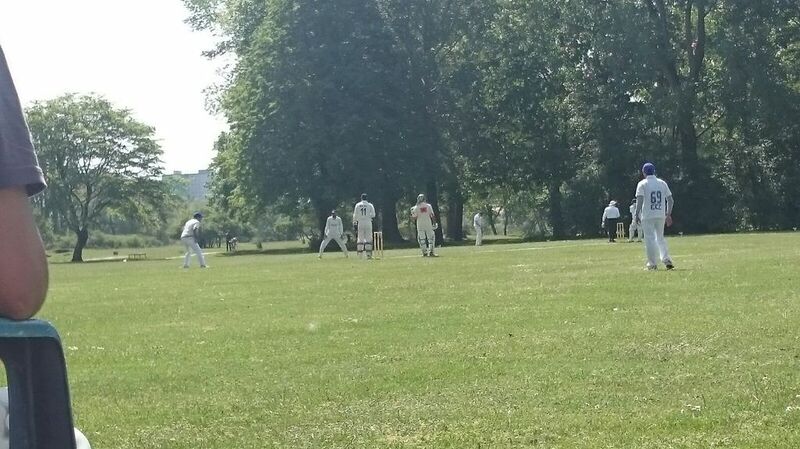 In Last 6 Overs erlangen needed 61 runs to win with two wickets in hand, with nerves Jangling our bowlers started bowling one bad ball after another which was gleefully accepted by Erlangen batsman. 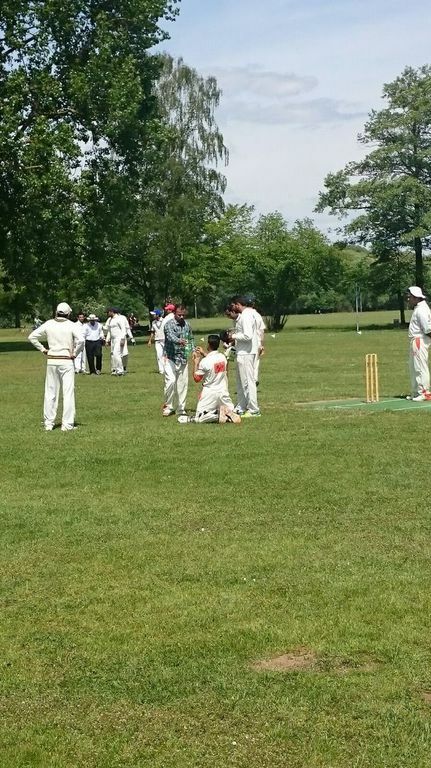 In last 2 Overs Erlangen needed 20 runs to win with one wicket in Hand but Rafiq showed great bravery and courage to bowl with dislocated finger, he got Subhajit out and we won the game by 18 runs. Finally we won the game but made the game extremely difficult for ourselves. 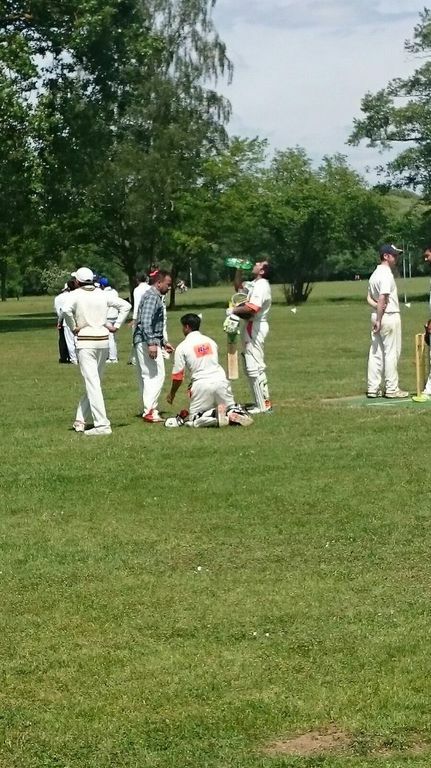 There was wonderful batting done from Umer and splendid bowling done by Bilal who took 6 wicket but in the middle of game we let our concentration down and just escaped with a huge scare. In next games we should keep our performance level till the very last ball is bowled.